Sometimes, the simplest things make the most lasting impression. Capture the essence of smart, noble style with our exclusive black, two-button Carrera tuxedo. 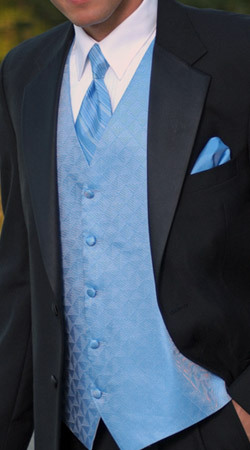 Give it an extra little flair with a cornflower Regal vest and Cavalier windsor tie.